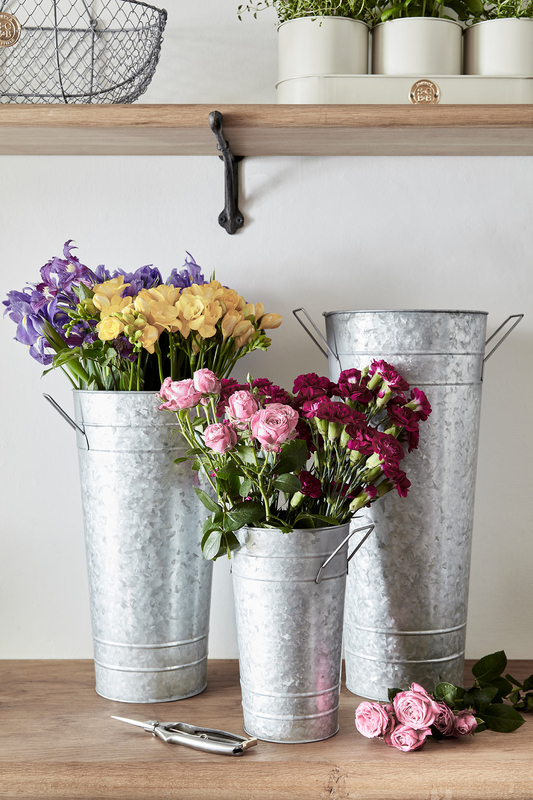 This useful set of three Galvanised Florist Buckets is essential for anyone with a love of flowers. Use them to collect stems and branches from your garden, to trim and arrange flowers for beautiful bouquets or even display them as vases with a rustic feel. Tall, slim and able to stack neatly within one another they are easy to stow away. 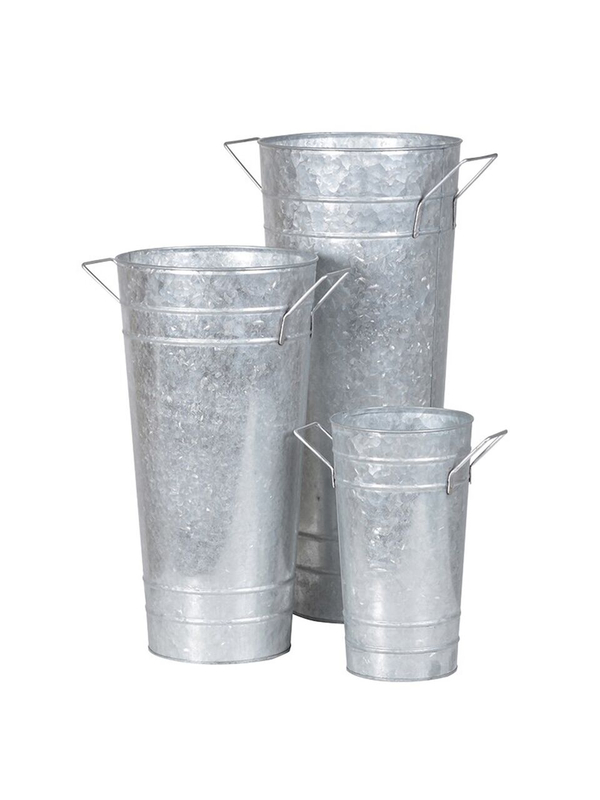 Please Note: Due to the galvanised finish of these buckets they will not rust.